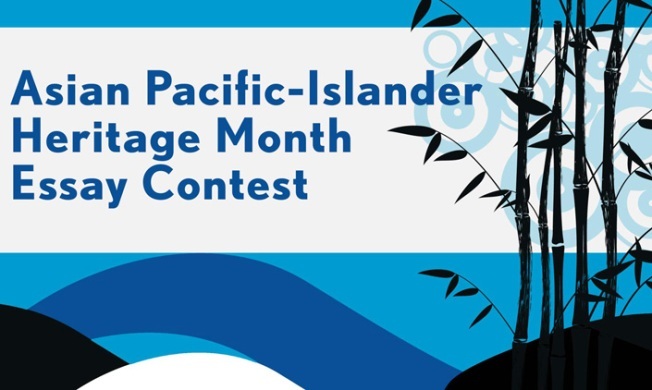 If you are under eighteen (18) years of age when entering the Asian Pacific-Islander Heritage Month Essay Contest, you must obtain written permission from your parent or legal guardian. Print out this Minor Release Form, have your parent or legal guardian complete it, and mail it in as part of your Entry, or your Entry may be disqualified. Entries must be mailed to: Asian-Pacific Islander Heritage Month Essay Contest, WRC, 4001 Nebraska Avenue, N.W., Washington, DC 20016. My name is _________________________________________ and I am the parent/legal guardian of ______________________________. My child is ________ years of age, and my child's date of birth is: (Month:) __________________ (Day:) ________	(Year:) ______. My child has been employed by this company or person for: ____ years ____ months. This information is to be used solely for purposes of the Asian-Pacific Islander Heritage Month Essay Contest and will remain confidential between you and NBCUniversal Media, LLC, and its affiliates. 1. I am submitting this Statement of Eligibility, Liability Release and Publicity Release for Minor (collectively "Statement/Release") with the understanding that it will be relied upon to determine my child's eligibility in the Asian-Pacific Islander Heritage Month Essay Contest (the "Promotion") sponsored by NBCUniversal Media, LLC and WRC ("Sponsors"). 2. I affirm and represent that the details of the Promotion have been explained to my child, I understand all such details and I have agreed to allow my child to participate in the Promotion. Neither my child nor I have committed and will commit no fraud or deception in entering the Promotion or in claiming the prize if I am a winner. 3. I hereby grant my permission for Sponsors and its designees to use, without notice or further compensation, worldwide, and in perpetuity, in any and all forms of media, now known and hereafter devised, including, without limitation, my child's name, address (city and state), photo, likeness, biographical information, statement and voice for advertising/publicity purposes (including posting on any related web sites), in connection with the Promotion or any prize awarded. 4. I understand and acknowledge and hereby, for my child, his/her heirs, executors and administrators, do waive and release any and all rights, claims and causes of action whatsoever that I or my child may have against said Promotion Entities and/or their licensees and assignees for any matter, cause or thing whatsoever arising out of the Promotion and/or I or my child's acceptance and utilization of any prize that I may win in the Promotion. 5. I agree that my child and I are subject to certain additional restrictions, terms, and conditions (relating to the Promotion and/or any prize I may win), which will be designated by Sponsors in their sole discretion. 6. It is understood and agreed that this is a complete release and discharge of the undersigned against the aforementioned parties to be released, and that no action will be taken by or on behalf of the undersigned or the undersigned's child as referenced herein with respect to any such rights, it being understood that this release shall be binding upon the heirs, executors and administrators of the undersigned and the undersigned's child. 7. I have been given a full opportunity to review and analyze this Statement/Release. I fully and completely understand all of the terms of this Statement/Release, and sign this Statement/Release voluntarily, freely, and knowingly.